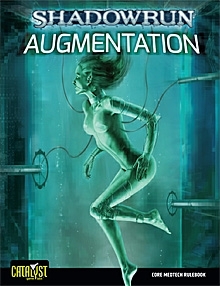 Augmentation is the advanced medtech rulebook for Shadowrun, Fourth Edition, covering everything you need to know about implants—including new cyberware and bioware and where to score the surgery. 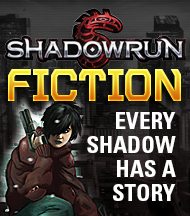 It provides detailed overviews of genetics and nanotechnology, from regrowing limbs to lethal cutter swarms. 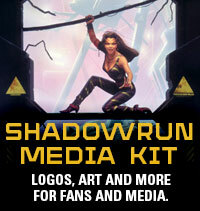 It also previews the bleeding-edge of medtech: bio-drones, cybermancy, and full-body cyborgs. 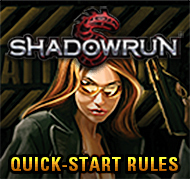 Augmentation contains everything players and gamemasters need for implants and body modification in Shadowrun.